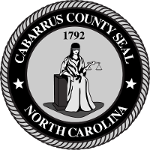 Cabarrus County strives to provide a positive work environment where employee contributions to our residents are valued and recognized. Through visionary leadership and good stewardship, we will ensure public safety, administer state requirements, determine county needs and provide services to continually enhance quality of life. Our vision for Cabarrus is a county where our children learn, our citizens participate, our dreams matter, our families and neighbors thrive and our community prospers. ‍Goal 1: Preserve and enhance the quality of life by addressing growth with sound public policies that sustain resources, provide high quality services, and fund infrastructure needs. Goal 2: Achieve community-wide preparedness to protect public safety, respond to routine and catastrophic events, and maintain and restore the well-being of all residents. Goal 3: Use resources wisely and responsibly by protecting assets, minimizing risk, creating partnerships, and using technology to maximize the value of county investments, expenditures, and services. Goal 4: A fully engaged community with a shared understanding of its issues and challenges and working together to achieve its goals. Goal 5: Ensure that all citizens have equal opportunity and access to education, health care, and economic prosperity and encourage citizens to fulfill their potential and contribute to their community. Ch3 - Cabarrus County has heart – actually "helping hearts and hands". Employees have banded together to give back to the community through an annual fund drive and through on-going community fundraisers and events, led by Ch3 Directors. Employee Appreciation – Our employees are our most important asset. This is an employee led effort to recognize employee contributions and service to Cabarrus County. Recycling – Sustainability is not just a goal, it’s a way of life for Cabarrus County. Employees discover new ways to reduce, reuse and recycle, sharing that knowledge with co-workers for work and home use. Safety – Like to play it safe? Preparation and knowledge are keys to safety and accident prevention at work and at home. Department representatives share their best practices and learn from other areas in safety topics ranging from personal safety to equipment, motor vehicles, and emergency procedures to name a few. Wellness – If Wellness is your passion, put your talents to work in helping co-workers achieve healthier lifestyles through fitness, nutrition and information sharing opportunities. Are your values aligned with ours; are you are looking for a great place to work​?